The Covo Dog Lounge is designed by renowned Dusseldorf based commercial architect and interior designer Uta Cossmann famed for pared back Bauhaus style and elegance. Being a dog lover, Uta designed a perfectly formed dog bed for small to medium sized dog breeds that provides the ultimate in style and comfort for your dog whilst combining the symbiosis of shelter and comfort. Small dogs love cosy protected spaces to curl up and sleep and prefer raised beds so that they feel safe and secure. The result is the most striking circular form that is very light to lift and can easily be picked up and moved to another room with a mattress that is separate and is fully washable with a removable cover. The Covo Dog Lounge frame is strong, sturdy and handmade from bent Walnut Lacquered Plywood which can be cleaned simply by a soft damp cloth. The inner cushion is made from high intensity soft open cell foam of 100% polyester offering excellent spinal support for your dog. Encased in a Cottton blend cover the base mattress can be laundered easily as recommended by the manufacturer's instructions. The top fabric cushion cover is made in a beautiful Mocca coloured fabric of 100% Acrylic Oeko-Tex®️Standard and removable by a zip and machine washable on a cool setting. 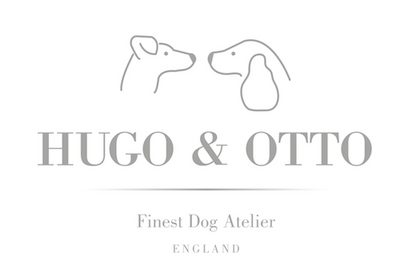 WORLDWIDE SHIPPING: Please email sales@hugoandotto.com to request a quote for International shipping, our fixed shipping charges cover Norther Europe and the UK only.